More people are becoming believers when it comes to reincarnation in the past decade or so. Many hypnotherapists have regressed patients to past lives with interesting results. These doctors are hearing very consistent facts regarding activities of the soul in between incarnations. Edgar Cayce was one of the first to remark to a friend that he was a monk in a previous incarnation. This conflicted with his Christian faith until he was able to reconcile both his belief in reincarnation with Christian doctrine. Jane Roberts wrote a series called "the Seth books" in the 1970s. She was able to channel a spirit named Seth, who came to her to describe the activities of the soul in between incarnations. Seth spoke through Jane, while her husband, Robert Butts, took notes. This may seem unbelievable, but many guests were invited to watch and listen as this was happening. Jane passed on in 1984. Michael Newton is a counselor, hypnotherapist, and specialist in treatment of psychological disorders, and also the author of Journey of Souls. He had a young male patient who suffered from extreme pain in his side, which no medical advice could help. Dr. Newton finally hypnotized this patient, and discovered that he fought in WWI, and was killed in France, from a bayonet wound. Once the patient knew this, the pain disappeared. Robert Schwartz, author of Your Soul’s Plan, became fascinated with reading about spirituality and metaphysics. He met a woman who could channel her soul, and it spoke about pre-birth planning. Any advanced astrology student knows that we plan the time we are born by the planetary positions we need to carry out our life’s plans. Knowing that life’s challenges had a clear purpose, and were not just arbitrary, random, and meaningless suffering, totally changed Schwartz’s life. Now he understood all his challenges had a planned purpose. He discusses reincarnation in his book. He had cases of children who insisted they were from another country and had another name, and named prior parents. When researched, the couples were found in the town the child said, and usually said they had a child who died years before, with the name the child told Robert Schwartz. This is becoming more common. Michael Newton, author of Journey of Souls, works with clients to help them connect their thoughts and emotions to promote healthy behavior. He began using hypnosis and age regression techniques to discover the origins of disturbing memories his patients could not get past. His interest in reincarnation and metaphysics was only intellectual curiosity, until he worked with that young man with the incarnation from WWI in France. Newton stumbled on the discovery that it is possible to see into the spirit world through the mind’s eye of a hypnotized subject, who could report back to him of life between lives on earth. He had a patient who was a middle aged woman and very receptive as a hypnosis subject. She had feelings of loneliness and isolation which came to her in the periods when she recalled the events of her most recent past life. She was able to go into the highest state of altered consciousness herself. He then asked her if she missed anyone in particular. She cried and said, “I miss some friends in my group and get lonely on earth.” Newton could not find much written material about our lives as souls, so decided to research, and practiced skills in entering the spirit world. He found that the spirit world was more meaningful to people than some of their former lives on earth. So how did he work on this? Our minds are like 3 concentric circles. We have the outer layer of conscious mind, our critical, analytic, reasoning source. The second layer is the subconscious, and we go into hypnosis to tap into this area, which stores all our memories, both in this life and former ones. Layer 3 is the super conscious mind, which exposes our highest self. This is our real identity. This level contains memories of all the alter egos assumed by us in our former bodies. All of Michael Newton’s information about life and death come from this source of intelligent energy. How valid is hypnosis in uncovering the truth? People are not dreaming or hallucinating then. 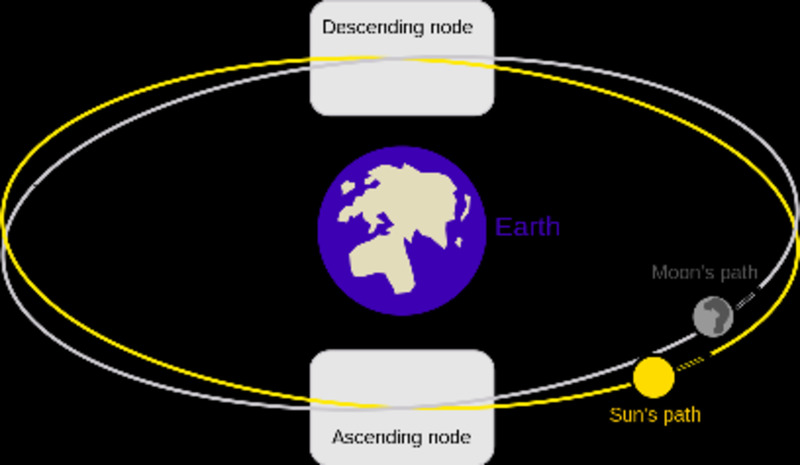 They are placed in a trance, and their brain waves change from a beta wake state and keep changing vibration, past the meditative alpha state into the theta range. In the theta range the conscious mind is not unconscious, so we can receive as well as send messages, with all memory channels open. Some well practiced meditation practitioners can get into a theta stage without being hypnotized, I know several myself. Clairvoyants can do this as well. Some people can see likenesses of departed loved ones, and often have dreams which are messages from those loved ones. They see pictures and hear voices of souls they knew in other lives, from souls of their family members, or from their soulmate or guide who travels with them through all of their lifetimes. Michael Newton has volumes of information about soul lives where too many people are repeating the same experiences for this to be false. But we, as everyday people, have much proof that our loved ones are watching over us and helping us after they die, while they are in between incarnations. 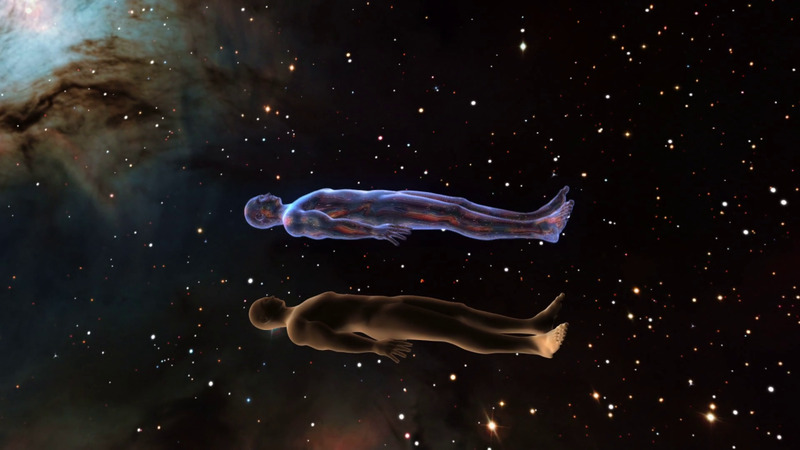 Just as in a near death experience, a soul can see their dead body as they float above it, newly separated from the physical body. My husband died four years ago, very quickly and unexpectedly, although we were in a doctor's office. We thought he threw out a rib while suffering from a severe stomach/intestinal virus. But although he saw the doctor, he collapsed in the foyer of the office as we were making an appointment for the next day. At first we sat him in a chair, and he did speak a little bit. I was standing in front of him, holding him in my arms, as we waited for an ambulance. Suddenly I could feel that his pulse had stopped. The EMT's arrived and laid him out on a stretcher. As they got him in place, I saw a white light rise up from his body, and knew his soul was leaving his body. I didn't want to believe what I was seeing, but knew it was happening and sadly, knew it was true. It is said by those whose experience is an out of body one that they feel sad about loved ones left behind, but want them to know they are not suffering. And of course, they come back. I have a clairvoyant friend who is also an interfaith minister, so I wrote and she delivered my husband's eulogy. We met at her office two days after his passing to plan the service, and had a very strange experience. She had never met my husband before. She felt him touching her neck, as if to tell her he felt extreme neck pain when he died. She told him that he was hurting her, and that she would pass on his messages to our son and I, if he would try to be calmer. He accepted her terms. My son is very psychic and could feel his father's presence in the room. My husband told us that "Love was stronger than death." There had been an issue between us in the last year, and he apologized to me, explaining the issue very well through the clairvoyant. I was lying in bed a few nights later, still upset and in shock, when I saw a ball of white light over my bed. I hate to say it was like a disco ball, as it wasn't spinning, but it was about that size. I knew it was him. The spirit of a departed loved one has trouble leaving a soulmate or other loved ones when the death is sudden. He was "checking" on me, as he knew I had trouble sleeping without him after 34 years. At his celebration of life service, our son wrote a song to play on his guitar for his father, and knew his spirit was in the corner of the room closest to where my son played. Both of us saw him peeking in the room to see who was there, not in his body form, but we could feel the energy, and as we compared feelings later, we both knew it was coming from the same place. People in a deep trance state are capable of describing what life is like after permanent physical death. They float around their dead bodies, trying to touch solid objects, but cannot, nor can they speak with the living anymore. They feel a sensation pulling them away from the site of death, and feel relaxed and curious, rather than fearful. They experience a sense of freedom and bright light around them. A soul who was in terrible pain before death is able to leave the body for short periods of time, but they tend to stay near it. This is what happened to my husband. He really hadn't intended to leave, but apparently his mission in this lifetime was finished. What they become then are radiating pinpoints of light as they leave the body. The soul begins to expand and can move more freely now. They try to communicate their love of family once or twice more (like my experience in the clairvoyant's office, and in our bedroom) before they acknowledge the finality of physical death, and want to hurry into the spirit world. The only souls who want to stay are those who were murdered, in accidents, or pass really suddenly, because they are angry and confused, so tend to stay in the spot where the act happened for a longer time. Physical death does not break our connection to the immortal. Souls of those we love are able to reach us if called upon, although they have no physical body. Dying people are undergoing a process of separation of their souls from the body. We associate death as losing our life force, but the opposite is true. We forfeit our body in death, but our eternal life energy unites us with older souls who help us to the next step. The soul is being summoned deeper into the tunnel of white light. Feelings and the power of thought are there, along with love, empathy, and anticipation, because others are waiting. The soul can no longer see the earth, yet feels a connection with it. Gentle adjustments to the bodiless state happen while the soul is being pulled further into the spirit world. Once they pass through the initial gateway of the spirit world, they realize they are not dead in the old sense of the word; they have just left the prison of an earth body. Highly developed souls get through this part of the journey faster. The spirit world is reported as a huge tier with layers of shaded sections from top to bottom. All are shades of white. It gets lighter and brighter as it goes on. The soul is pulled to the proper level, and feels a relaxing force. He hears tingly music, like wind chimes, vibrating with his movements. He still has memories of physical senses, and continues to hear beautiful musical notes, bells, strings, some buzzing and humming, and has a feeling of tranquility. So what is beyond the tunnel? It is described as sparkling, glittery, infinite, and majestic. Newer souls are met by a guide, usually made to look like someone the person loved from an earth life. The soul is told their life ran its intended course. The soul gets information by telepathy that their loved ones on earth are fine, and have accepted they are gone. They know they will all see each other again, because they are from the same soul group. It is time to move on. If the soul sees images which relate to places known on earth, there is a reason. Our planetary memories never die. A soul who has suffered a traumatic death will be met by a guide right away, but mostly souls are happy to return to the marvels of the spirit world. All earthly cares and pain are left behind. Unseen intelligent energy forces guide souls through the gate. Now they only appear to each other as pinpoints of light, or small masses of energy, but can display human characteristics of someone important to them in other lives. You have a personal guide who can also be a soul mate or a person loved very much. They comfort the soul and lead them further into the light. No matter how many times a soul has died, at first there is apprehension and fear, and they have to get used to the spirit world again. The guide delivers the soul to a group now, seen as orbs of light. The soul may see other souls they knew in prior lives. They envelop each other in light. The soul will see a whole group of people in order of how much they meant to each other in different lives. There is one guide who watches the same soul in all incarnations. Some can reach this guide through meditation and know the guide's name. This “reception committee” is planned in advance for us as we enter the spirit world. Our spiritual associates know when we will die and where to meet us when we arrive in the spirit world. After this emotional reunion, we are placed within a more specific group of entities at our own maturity level. The soul is androgynous, but can assume male and female mental impressions. If you read the Seth books, it will be found that Jane usually reincarnated as a man. Souls see the mind behind what would be the eyes in a physical body. Did you ever meet someone and feel like you knew them for a long time? You did, in another life. It's like déjà vu. It’s happened to me, and probably to you too! All the communication between souls is telepathic. Often they take features from the way they looked in a particular life. But we really only have one identity regardless of facial features. One soul learns all the lessons of life, to master them until they reach perfection and join the oversoul (or God, whatever you call it). We all have divinity in us. Some older souls are not met by anyone; after a certain amount of reincarnatons, they are just pulled by unseen forces to their final destination. You and another guide will decide when you are ready for this. Souls can find each other because they each have their own frequencies, and are guided by a wave of light with specific vibration rates. As this writer always suspected, an old man on a throne doesn't immediately judge us and throw us into hell or bring us to heaven (our lives aren't done yet). We are the most severe critics at the ends of every life. Who beats us up the most when we make mistakes or do something stupid? We do it ourselves. So now we make corrections, with help from our spirit guides. Soon the soul will be met by a group of guides who will help sort through their experiences and actions in the last life incarnation. They engage in a direct study of a soul’s activities before they can return to their groups. The soul’s guide is present to act as an interpreter for the soul, and to provide support for explanations of conduct in the last life, sort of like a defense advocate. Everyone is honest and truthful in this state. The soul will be seen by this group once again before their return to earth. Next up is the sorting out process for soul groups and how souls view themselves in their spiritual locations. Group placement is determined by soul maturity level. These are peers who have sensitivity to each other beyond what we can conceive of on earth. But they are often together in a different role in subsequent reincarnations, because it's they who wronged each other, or loved each other. They still have unfinished business. Secondary groups are much larger and are souls who would have been acquaintances, a teacher you had one semester who was a mentor, or a neighbor, a barista you saw every morning when you got your coffee, people like that. There can be blood relatives you only saw each Christmas, old friends you knew in high school, or that person you dated for a few times but never really forgot. So you shared experiences, but not so many. They know you a little bit though, so will also return with you in another reincarnation for some purpose. There really is a "book of life" as described in the Bible, but it is read as actions of the most current life, not as words. Now souls who were dear friends are at near similar learning levels, and begin to analyse this information. Think of it as watching a movie to remind yourself of certain parts of the plot. They can see future possibilities, but the books are meant to emphasize past acts. They help each other go over mistakes made in the last life cycle. They are allowed to help newer souls when they finish their studies. Souls have auras or color, mostly off white, white, pale yellow or pale blue. The younger and more inexperienced souls are the shades of white, the intermediate ones are shades of yellow, and the most advanced are in shades of blue. Their spiritual and physical consciousness projects vibrational wave patterns to form the auras. These auras also show the soul’s abilities to heal others and regenerate themselves in life on earth too. The system in the spirit world designed to measure learning and development fosters enlightenment and finally the perfection of all souls. The idea of a hierarchy of souls in cultures from both East and West have been around for centuries, Plato was a believer. Every person has at the very least one spiritual guide, usually more, because your departed loved ones are keeping tabs on you. People who meditate often are more familiar with these visions and many know their guides. The personal guides names vary depending on what past life the teacher spent with the student. Guides comfort us through trying times all our lives, and some children say they began seeing them when they were daydreaming. In the Northeastern United States, the Iroquois believe a human has their own inner spiritual power, connected to a higher personal spirit. The concept of soul watchers who act as guides is a belief of many Native American cultures, such as the Zuni in the S.W. United States. They have myths of godlike beings that they have personal acquaintances with, which we can reach through meditation or prayer when necessary. The lack of imagery of a supreme God hinders a direct connection for some. Many of the major religions have used prophets who once lived on earth as our links to God. Every human has one master guide since the soul’s beginning. Some inherit a secondary guide too, later in existence. The master teachers are seen as having auras of a purple shade. Guides never give up on souls; they give one confidence and instill the needed courage a subject needs in a difficult life contract. 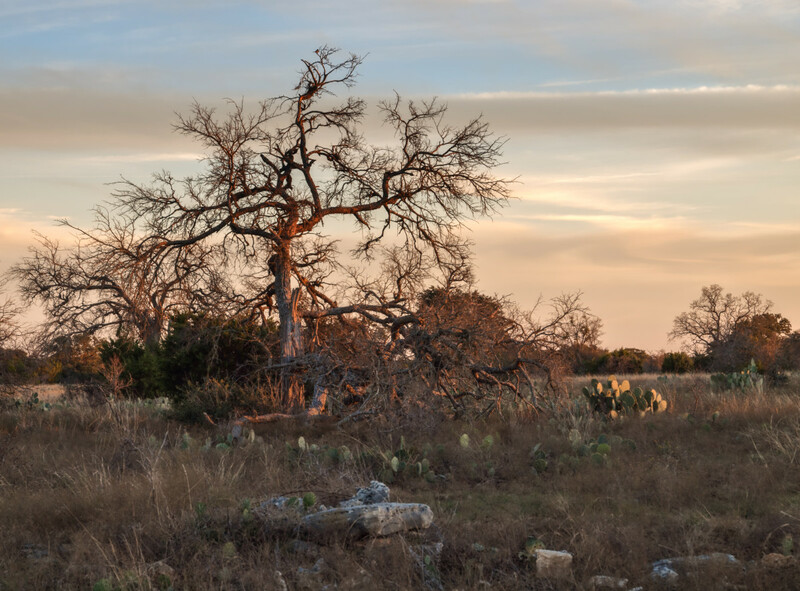 National surveys by psychologists indicate that 1 in 10 people admit to hearing voices which are frequently positive and instructional in nature. They are relieved to learn their inner voices are not the hallucinations associated with the mentally ill. During hard times in life we tend to ask more for guidance to set things right. It is best to just ask for help in the next step in life. Be prepared for unexpected possibilities and have faith and humility to open up to a variety of paths towards solutions. Souls end their incarnations on earth when they reach full maturity. 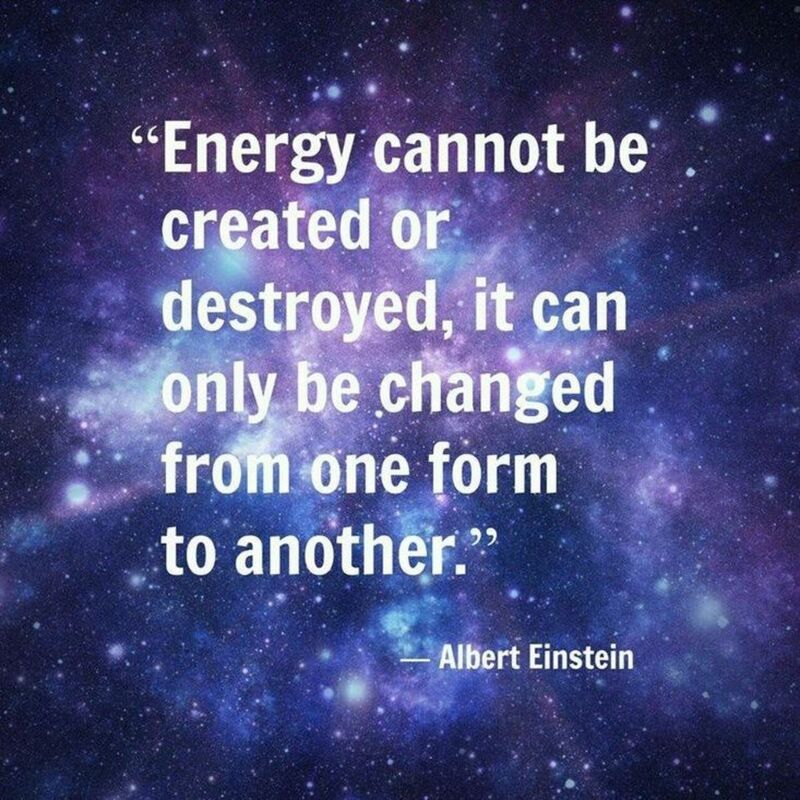 Energy cannot be destroyed. We are all working up the ladder to be better people as souls. All souls are given the opportunity to participate in the development of lower forms of intelligent life in order to advance. This principle can be applied to the reason why souls incarnate in physical form. 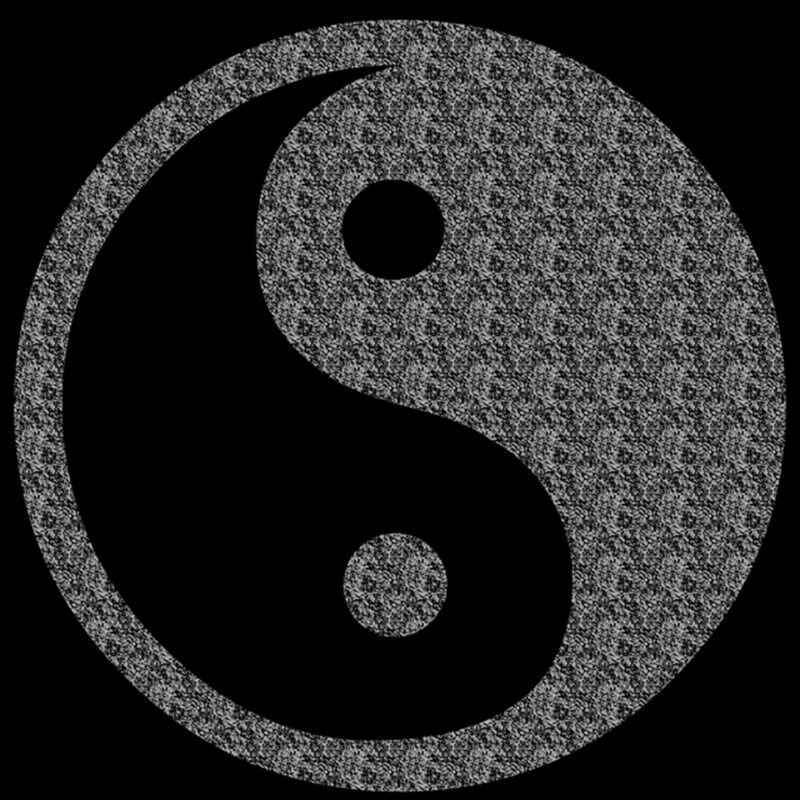 The Supreme Source or The All is made up of a combination of creators, or old souls, who fuse their energy to spawn Universes. Most people who are in deep hypnosis are able to see beyond an earth reality of three dimensional space; into alternate realities of timelessness. In the subconscious state, subjects experience a chronology of time with their past and present lives which resembles what they perceive when conscious. There is a change when the therapist takes them into super consciousness and the spirit world. Seconds in the spirit world seem to represent years on earth. When these sessions are over, clients express surprise at how time in the spirit world is unified. But time isn't linear anyway. Eventually the soul is motivated to begin the process of reincarnation again. When wounds of the past heal and we are totally at one with ourselves, we feel the pull of having a physical expression for our identity. Our karma of past deeds towards humanity, our mistakes and achievements have been evaluated. 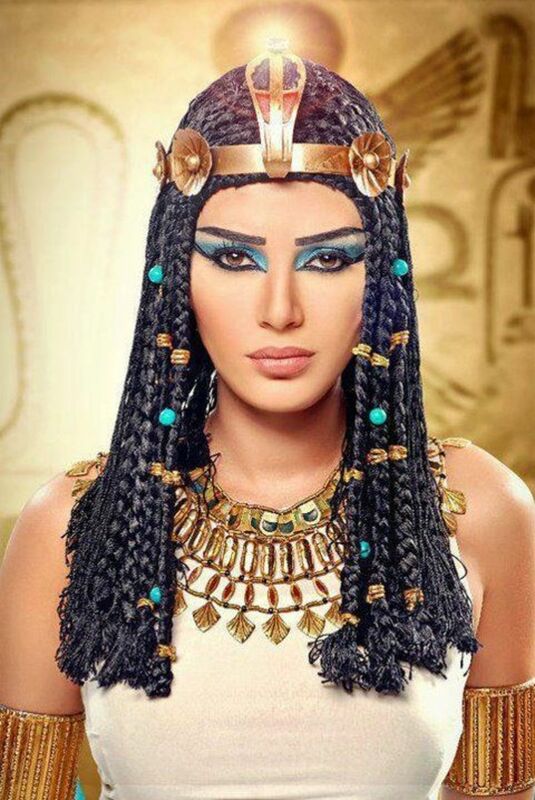 The soul must now assimilate all this information and act on three decisions: Am I ready for a new physical life? What specific lessons do I want to undertake to advance my learning and development? Where should I go and who shall I be in my next life for the best opportunity to work on my goals? Just as there was a "debriefing" interview in the orientation phase right after death, there are preparatory exit ones by spiritual advisers to determine a soul’s readiness for rebirth. They need to consider when and where they want to go on Earth before deciding on whom to be in a new life. Think of it as watching a movie trailer; they get to see highlights of certain possible life choices, but can't see how or when it ends. Some parts of the new life are obscured to protect their interests. If they see important events too far in the lifetime, their is a higher chance that the possible alternate realities will cloud their judgement. Souls start viewing how they might fit into certain environments in future time segments. At this point, souls are full of hope, promise, and lofty expectations. Guides stay out of sight while souls evaluate new life options. Amnesia is imposed when they come into a new life, so as not to inhibit self discovery. The life already has a plan. During our lives we all will experience opportunities for change which involve risk. We may not act on them, but challenges are there. Karmic destiny means we are not just caught up in events over which we have no control. We have karmic lessons and responsibilities. The laws of cause and effect always exist. So the location and time period is chosen. Some souls are drawn back to a certain geographic area, either a new one or one where they had a life before. Often souls of young children who die soon after birth return to the same place, as the soul of the couple’s next baby. Souls will not see their deaths in a future life. Souls volunteer to have fatal illnesses, to be helped by someone, or to come to an abrupt end of life with others in a catastrophic event. They are not in the wrong place at the wrong time; they chose to participate in the awful event for a reason. Some choose to come back in a damaged body to have more time for cerebral pursuits. By surviving difficult challenges, soul identities become stronger. The physical body is important, but attention to psychological aspects is more so. A soul’s thoughts about certain human behavior preferences for selves in new lives are known by their guides and masters. Once the soul decides what it needs to learn and where it wants to go, guesswork is over. Now they match their spiritual identity against a mental being. The soul agrees to be a child of a certain set of parents. In Hinduism, these parents are all making love in a beautiful, glamorous hall. The soul ready to be born can feel the vibrations of these couples, and choose their own parents based on that. I always thought that was beautiful. To know ourselves spiritually means understanding why we joined in life with the souls of parents, siblings, spouses and close friends. Along with learning our lessons, we play a part in the drama of others lessons as well. The souls select bodies which try to match their character flaws and human temperament for specific growth patterns. Souls are encouraged to take greater risks in another life. Souls both give and receive mental gifts in life though a symbiosis of human brain cells and intelligent energy. Do you think we judge our own lives with the help of guides in between reincarnations? 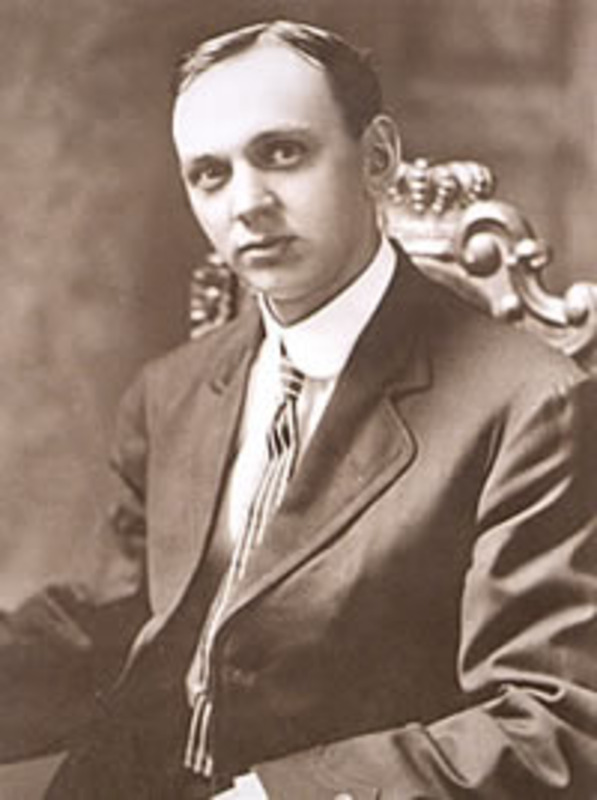 Any book on Edgar Cayce is a great read for more information regarding past lives, or basically any metaphysical topic. The version of Many Mansions the link leads to is an updated one from what I used as source material. As mentioned earlier in this piece, finding he was a gifted psychic healer and then a believer of reincarnation rocked his world. It diverged from his strong Christian beliefs, until he found a way to reconcile them. Today, all of his writings and notes are kept safe at the Association of Research and Enlightenment, or ARE, in Virginia Beach, VA, in the capable hands of his son, Hugh Lynn Cayce. It seems a heavy burden that in each new life a soul must search all over again to find its true self in a different body. All souls receive coaching right before the new life starts. Some relationships of love are so deep both parties do not see how they could live without each other. Everyone wants companionship, friendship, and mutual respect from others. Some associates are based on casual acquaintances which offer purposeful ingredients to a life. Now it is time to say goodbye to the spirit world. Rebirth is profound. The soul returns inside of a baby, and it is said to be much easier to die than to be born. They return to a tunnel of light, similar to the one at death. The transition to a new life is faster than their passage back to the spirit world. 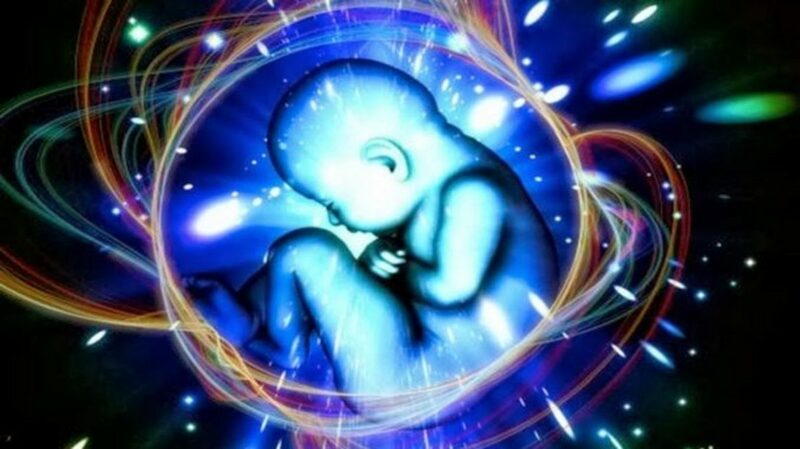 A soul entering a baby comes from a state of all knowing and can mentally adjust more quickly to surroundings. There is additional adaptation time for the 9 months in the womb, though the soul can move in and out of the body until it is time for the birth of the baby. The birth itself is difficult, as the baby is entering a noisy hospital room with bright lights and now needs to breathe air. The soul has to get used to being physically handled again. The process is a big shock to the tiny body. Prior to birth the soul will carefully touch and join more fully with the developing brain of the baby, but the child has no choice in accepting or rejecting the soul. This writer has read that the soul actually has an “out” if the mother is going to die, or if it changes its mind about this incarnation at the last minute; and another soul will take its place. In other readings it says the soul is able to move in and out of the baby in the first weeks of life, since the baby sleeps a lot. After the birth, the union of spirit and flesh comes together into an immortal partnership, and the soul becomes the seat of perception for the developing human ego. 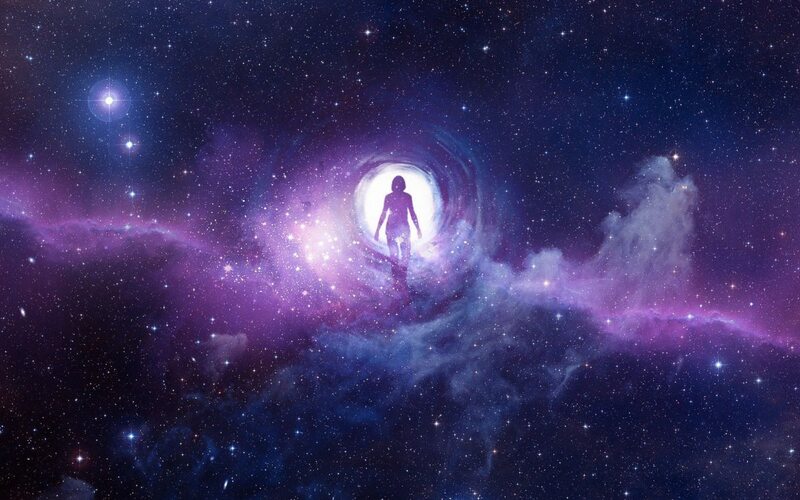 The soul brings force from the spirit world which is the heritage of infinite consciousness. So the wonder and creative beauty of a soul joining with a new being is the coupling of an intelligent life force which brings us full circle, as reincarnation begins once again. I have heard that between incarnations we live & learn on other planets but can't find info from E. Cayce. Is this true in E. Cayce's thinking? I have read most of Cayce's books, but can't remember which one discusses this situation. I remember he said if someone led a really intense life, and wanted to relax, they could come back as a rock. Or a person who talked all the time and never cared what others said could come back as a deaf-mute who had to struggle to get to know what others were saying. I do recall his saying some people do reincarnate on other planets, but in extreme circumstances. My friend and mentor always referenced Rudolf Steiner when I talked about Cayce. I will look through my library and if I find more info, will update this article. What you have said here is not unusual. My son can remember back to a time where he feels he was a soul not yet born. We are a household interested in metaphysical concepts, so he grew up with it. What you remember could be before you reincarnated into a new life again. Thanks for reading and commenting. I would guess because on the deepest emotional level, you know it to be true. I've taken metaphysical classes since I was in my 20's, so what I wrote was not new to me, I believed in reincarnation for years. But I never read as good of an explanation as to what happens in between the lives as some of the books I have links to in the article. Do you feel close to a place you never were or with it's culture? Do you ever meet somebody and just KNOW you knew them before? These are all signs that they were once in a soul group with you. I could go on (actually I did, that's a long article), but I hope it helped you. Pay attention to your dreams, you can get clues there about past lives. Thanks for sharing your experience, Katharine. Once I had a vision like that, it means you are clairsentient. It's different from clairvoyance, it means you "feel" things so deeply you can actually "see" them too. I began having these experiences when I was in my early 20's, and so did my son. I have a younger brother ten years younger than me. He lives on the other side of the country. He had a GF I didn't really like, and one day she called me, and although she didn't live with him anymore, heard that he died. I was beside myself all day, as she had no real evidence, just gossip. Then I walked into my bedroom, and our mother was there, even though she had died years before. She just said, "Jean, don't worry, he's fine." So I understand how intense these experiences can be. Do you meditate? That helps to develop our psychic powers in time. Best Wishes! Hi Jean, wonderful and comprehensive article on our process after death! I learned a lot and was reminded of lots that I've found to be true in my own life. The book Many Lives Many Masters by Brian L Weiss is the book that really opened my eyes to reincarnation, spirit guides and the whole process. Then I was an active member of a Buddhist group in my UU church for several yrs. I will check out the books you've mentioned here as well. One incident that was very meaningful... the night after I brought my first child home from the hospital I had what I thought was a vivid dream. My paternal grandmother, who had died 18 years before, came to me and asked if she could hold the new baby. She took the baby into her arms and smiled down at her. Then she handed the child back to me and quickly disappeared, as if pulled backward down a tunnel. The next morning I really felt as though she'd been there. Anyway, love the article and look forward to reading more of your work! It's been hard about my husband, since we met when I was 18. We grew up together and knew we had been together in other lives, even the night we met. I do OK but have bad days. Our adult son came home to live with me, so that's a comfort. I don't expect him to stay forever, but he's going through career and other changes too, so it's working for us. I hope your dream was real too, Nell. I have a feeling it is. That's sort of how Sheryl, my friend, seemed to act, like her life had played itself out, and she was ready for a rest and another chance. The last time I saw her was the night before she passed. She was at home with a nurse, and her Mom was there almost all the time.She called me and told me if I wanted to see Sheryl again, to get down there. That was hard too, because it's awful to watch a mother you love lose her adult child. My parents and hers had become friends because of our close friendship, though my parents had passed by then too. As I was getting ready to leave, Sheryl came out of a room with a beautiful necklace, with all kinds of gemstones. It was a gift her son had given her at his wedding in Barbados. I told her I couldn't take it, it was too much, to give it to her sister. She said, "You're my sister." I get so emotional, I've only worn it twice. First of all let me say how sorry I am about the way you lost your husband, that must have been awful. My hub you read about losing my friend? I had a dream the night after she had died. She was walking across the grass near my house, talking to a 'man' who was so fuzzy I couldnt see him, maybe not allowed to see him, and then she walked over to me. I said ' I am so sorry. and she replied, I am glad it happened, I was a mess, my life was a mess I need this. they are going to let me sleep for a while to heal.' we said goodbye and I woke. so real, I hope it was real. Hi John! I wasn't sure how people would take it, but advanced astrology teaches us we choose our next lives, based on what we need to accomplish. It's the same soul all through time. When you met your husband did you get a vibe you knew him before? When I did, the first night he told me, "I never met anyone who vibrated faster than you." We all have our own rate of vibration. But we usually had relationships before with someone we have in our life for years. It was just different roles we played. Nice to "see" you, hope everything is good! Whooo this is powerful and deeply insightful Jean! Wow I'm totally sharing!!! Thanks for sharing your telepathic experiences with me. I have had many myself. They began when I was in my early 20's. I saw myself at funerals, and although I could see who attended, I was unable to see myself, so couldn't tell how old I was. 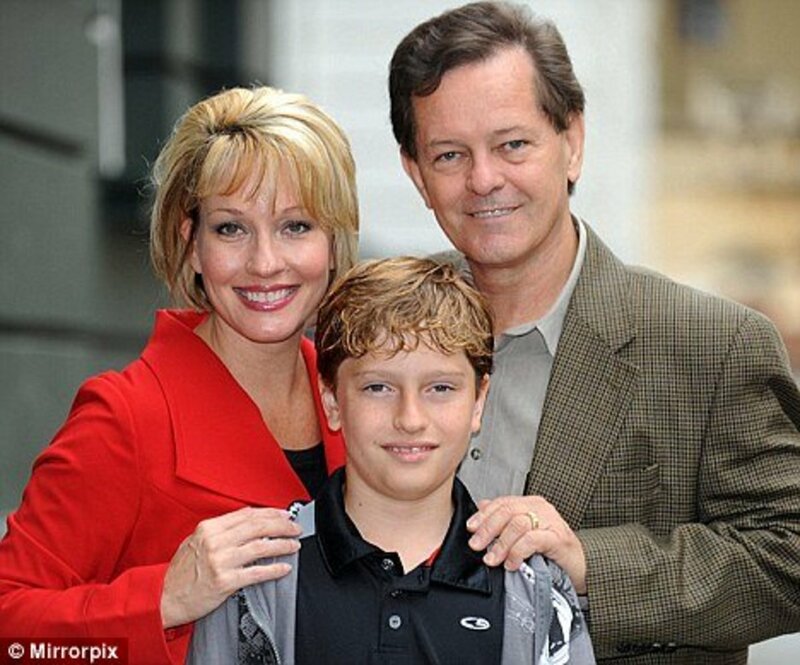 I have been in the room with both my Dad and husband when they died, both suddenly. Although it was hard and sad, they both went so peacefully. My Dad just admitted to feeling sick that night, and went to lie down. Then he stood up, and fell back down again. His was one of the funerals I "saw", but learned when I start seeing the vision, it will happen one year later. What I described with my husband was all true, but I didn't see that one coming.The clairvoyant never met him, and was giving me messages from him for over a year later, and it was all stuff she didn't know about him, or he commented about projects I was having done on our house, and liked them. Once my brother had a crazy GF, and she called to tell me he died, although this was not first hand information. I was calling morgues, and pacing. I was so nervous, but usually we have a telepathic link, and I didn't feel he died. I walked into a room and my Mom was standing there, and said, "He's fine, don't worry." I could see her real as life, but she died in 1995, and this was about 7 yrs. ago. Now I have been meditating and have a lot of psychic experiences and dreams. David must have been your brother or someone close in another reincarnation. He may even be your main guide. I wasn't sure how this article would be received. I got one comment I deleted. It was a really long explanation of a Catholic person's view of religion and life, from an adult who never questioned any of it, and I didn't think it was worth the time to answer her. It's sad to me how so many people have beliefs that they never test or question. I read about other ideas to learn more. To each their own, I guess. It's amazing you can diagnose like that. I feel more in the psychological realm, I know what people are thinking when I am with them. And we agree on everyone being part of one soul organism. I just say it as we all have divinity in us. Or as the Seven Hermetic Laws, The All is in Everything, and Everything is part of the All. Thanks for sharing. Thank you for reading and commenting on my work. I almost forgot to put the reference material on, but wanted to show that research went into the article. Even though I am known for writing on metaphysical topics, this one causes some religious thought, and I find many people don't think about their religions or beliefs, often being spoon fed information from their parents, and never investigating schools of thought that would be more believable to them as they get older. Take care. What a fascinating topic, I like how you developed it with both reference material and personal experience. Whether one believes in reincarnation or not, it truly is a captivating discussion. Thanks for sharing all the info and examples of real case studies. This article seems to follow my own experiences when I was a teenager. I had several Verified telepathic experiences I would like to share with you. When I was a teenager, Jim, my stepfather came into the living room and told me about a reoccurring pain I had been having. The pain went down my left arm to the wrist. I would respond by taking my right hand and grasping my left wrist for a few seconds. No one had seen me do this and I had never told anyone about it. Jim described the pain and what I did about it perfectly. I was so shocked I denied it and Jim walked away. Also as a teenager I was discussing telepathy with a neighbor. She asked me whether I could do it and I said yes. 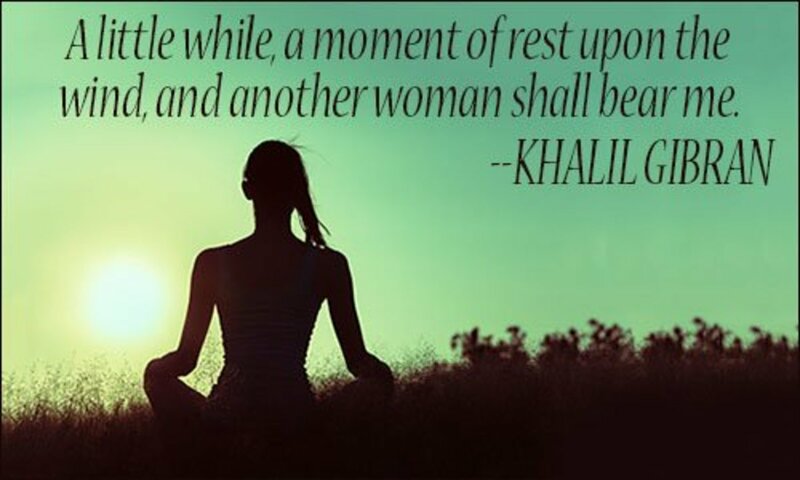 She asked me to do it and I sat down to meditate. I saw a cloud on her midsection and I thought of the Fallopian tube. I told her what I had seen in my mind. She then confirmed that her doctor had told her she could not have children because of a withered Fallopian tube. I also did two medical readings under controlled conditions under the Silva Method (now called Silva Ultra-mind). A woman sat facing me with index cards filled out with the condition of the patients. Two out of two times I described the persons’ medical condition. The moderator then showed me the index cards. My descriptions matched what had been written on the cards. The purpose of this testament is to add my experiences to others and to correct the false denial I gave Jim. The existence of telepathy shows we are all part of one great soul organism. Treat others as if they were a part of you........ because they are.